Having considered the views of the logical positivists and of Karl Popper, it’s probably a good idea to review the philosophy of Thomas Kuhn before we go any further with Alex’s lectures series. Also, my earlier treatment of Kuhn was very much the scientist’s view, let’s now consider the more radical arguments contained in The Structure of Scientific Revolutions. (i) Most of the time, science proceeds as ‘normal’ science. Theory and experiment takes place within a given paradigm ; this paradigm consists of a set of fundamental theories and assumptions that are accepted by all members of the community (and includes a view of what future research will look like and how it should be tackled). Normal science is performed within the paradigm i.e. apparent mismatches between theory and experiment are addressed within the paradigm. Indeed, it is exactly the job of the scientist is to resolve such puzzles without shaking the foundations of the paradigm. (ii) Very occasionally, enough anomalies build up that scientists begin to lose confidence in the basic paradigm itself; a point is reached when there are simply too many phenomena that cannot be explained in the context of the reigning paradigm. A this point, extremely fundamental ideas can be critically questioned and the stage is set for a new paradigm to emerge. Both the above points are accepted by scientists nowadays, mainly because many great revolutions in science can be described quite well in terms of a model of paradigm shift, rather than science as a linear process. [Good examples are the shift from the earth-centered view of the solar system (Ptolemy) to the sun-centered one (Copernicus), and the shift from Newton’s theory of gravitation to Einstein’s relativity]. In both cases, science did not progress as a linear, cumulative process; instead, enough anomalies emerged to cause a crisis that resulted in the overthrow of the dominant paradigm and the ushering in of the new. (iii) Kuhn insisted that reason alone cannot account for a paradigm shift. In his view, the transfer of allegiance to a new paradigm is not purely on the basis of objective evidence, but owes much to peer pressure, groupthink and other social factors. The main reason this can happen is that ‘facts’ gathered about the world are not objective but paradigm-driven, i.e. scientific observations derive their meaning from the background theory in which they are carried out. (iv) As a consequence, it is not a given that the new paradigm is a better fit to nature than the old. Instead, it is simply a different worldview. In fact, it is impossible to compare the two because the new paradigm is incommensurable with the old; because the two paradigms involve two different worldviews, supporters of each see observational data through different lenses and simply talk past each other. 1. Kuhn’s view of the subjectivity of paradigm shifts is informed by what philosophers call the problem of the ‘theory-ladeness’ of data. 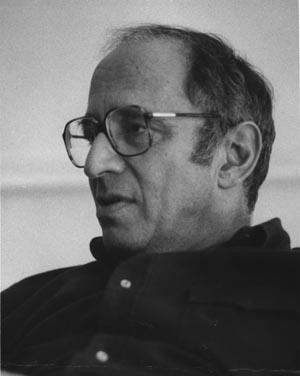 While the logical positivists firmly believed that observational data exists independent of theory (and therefore provides an objective court between competing theories), Kuhn argued that our measurement of data can never be fully independent of theory; all observations are couched in terms of some theory (e.g. to report that a current of 0.5 amps in a circuit involves an acceptance of the concept of electric current etc). This view is worrying, because if all observations are paradigm-contingent, there is no reason to believe that science progresses i.e. that the Copernican view of the solar system is a better model of nature than the geocentric model; according to Kuhn, all our ‘supporting observations’ (planetary orbits, black holes etc) are really determined by the current theory. However, this viewpoint seems to defy common sense at least to some extent, especially when one thinks of the technological application of modern science (if quantum physics is simply a point of view, how does a laser work?). Indeed, it raises questions about what we can ever know about reality. Many philosophers of science resolve the paradox by suggesting that Kuhn’s view of theory-laden data is too radical. In fact, scientific data is not completely theory-laden; while the positivist’s view of objective evidence may be an impossible ideal, it doesn’t follow that all observation is contaminated by theory. Hence, scientists working within different paradigms can in fact compare data meaningfully. For example, a Copernican and pre-Copernican may not agree on a model of the universe, but they can certainly agree on measurements of the orbit of Mars. The fact that at least some observations can be agreed on allows scientists to have meaningful debates about which model best resembles the data. 2. Many scientists take a dim view of Kuhn’s idea of the incommensurability of old and new paradigms, pointing out that the clear-cut change in worldview he sees is much too simplistic. To cite a specific example used by Kuhn himself, it is quite inaccurate to describe Newtonian physicists and Einsteinian physicists ‘talking past each other’. In fact, there is no such thing as a Newtonian physicist or an Einsteinian physicist. Every physicist is trained in classical Newtonian physics and we use Newtonian physics in physics routinely (for example to launch rockets to the moon). The only time we don’t use it is in extreme cases (when dealing with objects traveling at extremely high speed or objects that are extremely massive, when relativistic effects become significant). 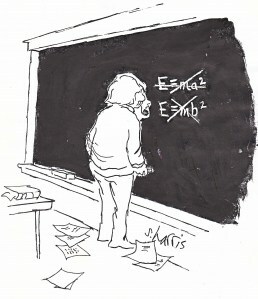 So while relativity certainly entails a different worldview (Newtonian mechanics deals with space and time as a fixed stage independent of the universe, whereas relativity sees a dynamic spacetime that can be affected by the universe), the equations of relativity reduce to Newtonian mechanics in all but the most extreme cases. In this sense, relativity does not ‘replace’ Newtonian mechanics, it encompasses it; most importantly, it is certainly not incommensurable with it. [This example of theories building on one another is very common in science. Even quantum theory, a theory that is in many ways radically different to classical physics, builds to some extent on well-established concepts in classical physics.Indeed, a standard approach to problem-solving in quantum physics is to frame the problem in a classical viewpoint first]. In later years, Kuhn seemed to row back somewhat on the concepts of theory-ladeness of data and incommensurability. While his intention had been to provide an alternate philosophy of science to that of the logical positivists, he was dismayed to see his views adopted by anti-science groups that wished to portray science as a non-rational activity, or by groups that saw scientific discovery as the view of one particular culture (cultural relativism). Meanwhile, sociologists took a keen interest in Kuhn’s work. 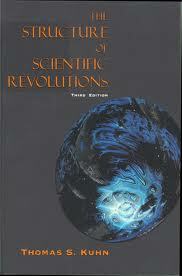 Indeed, it was precisely the more radical of his ideas that were to form the foundation of a new movement, the sociology of scientific knowledge which nowadays forms part of a discipline known as Science and Technology Studies.